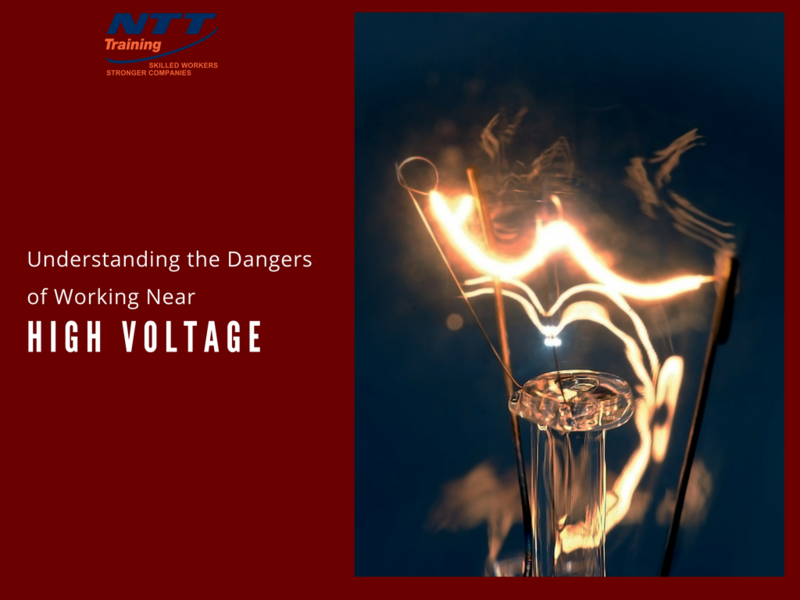 Whether you’re new to the job, or have been working around electricity for decades, it’s a good idea to get in the habit of familiarizing yourself with the dangers of working around high voltage power. The more you know, the less risk you have of experiencing a serious accident that can cause life threatening injuries. According to the Electrical Safety Foundation International, the number of electrical fatalities have steadily declined since 2006. In 2010, just over 150 individuals lost their lives while working with electricity. Since 1992, the rates of accidents or serious injuries have declined more than 50% on an annual basis. It’s a significant decline that can be attributed to stricter enforcement of safety regulations, increased usage of safety equipment, and enhanced safety training. The most commonly cited causes of electrical fatalities are contact with overhead power lines, with transformers, and with electric currents within machinery, appliances, and outlets. Individuals working in construction are at greatest risk, and between 2003 and 2010, individuals within this sector represent more than half of the total recorded fatalities. Electrocution – This occurs when the electric current passes through the body. If the current passes through a vital organ, it is almost always fatal. Contact with a low current can cause fibrillation within the heart that can be reversed, however, contact with a high current can cause significant burns and damage to cells. Electric Shock – An electric shock can cause significant damage to the nervous system. When an individual comes into contact with the current, whether directly or indirectly, they can become fused to the point of contact. This can exacerbate the injury and cause severe burns or long-term, chronic pain. Burns – Electrical burns are difficult to treat and can cause permanent scarring to an individual. The initial contact with an electric current can cause burns to appear on the skin. These burns can range from minor to severe. However, the presence of physical burns may be absent. Symptoms of electrical burns can show up weeks, or even months later. These can include chronic pain, headaches, dizziness, memory loss, or irregular heartbeat. Falls – Contact with a high voltage electrical current can cause loss of consciousness or loss of muscle control. This can cause an individual to fall off a tower, out of a bucket, or off of a ladder. These falls can create significant secondary injuries that may be life threatening. Staying safe while working around electricity starts with staying focused on your surroundings and the tasks you are performing. Staying alert can save your life, and the lives of the people you work with. This means carefully inspecting equipment before working on it, and always following safety protocols while you are on location. It is also crucial to routinely inspect safety equipment, the soles of your rubber shoes, and the integrity of your rubber or leather gloves for flaws or damage to ensure that everything is in proper working order before conducting any installations or effecting repairs. Before starting work, remember to check yourself to make sure you have removed all jewelry, watches, cell phones, etc. This can significantly lower your risk of injury. You should also remember to check that the power has been shut off, and then touch the surface of the area you are going to work on with the back of your hand before you grab it. This ensures that you won’t become attached if the object is charged. As a general rule, you should do as much work as possible with the high voltage current shut-off. Most importantly, never work alone. Having someone nearby can ensure that if something happens that help is right there. If you come into contact with an electrical current, this can mean the difference between suffering an injury or becoming a fatality. Staying informed, focused, and alert is the key to staying safe around high voltage. By routinely assessing tasks and potential risks, you’ll avoid the most common dangers associated with working around high voltage power sources. At NTT, Inc., our NFPA 70E Arc Flash Electrical Safety Seminars can give you the information you need to do your work safely and efficiently. NTT Training Inc. is accredited by the Accrediting Council for Continuing Education and Training (ACCET) and we invite you to contact us to learn more about the courses we offer and the instruction methods we utilize. For more information about National Technology Transfer or any of our programs VISIT OUR WEBSITE and review our TRAINING SCHEDULE. What are Variable Frequency Drives Used For? What is Hazardous Area Classification: What Does it Mean for my Facility? Retraining Workers in Electrical Safety: How Can I Give them a Refresher?